A powered magnetic mount holds the Road Explorer 70 firmly in place when required and allows it to detach easily when needed, without removing the cord. 11 Lifetime Maps provides the original purchaser of a Rand McNally device with an annual base map update for this specific Rand McNally device, when and as such update is made available on Rand McNally websites, until the shorter of 1) the useful life of the specific Rand McNally device or 2) such time as Rand McNally no longer receives updated content from its map supplier. Lifetime Maps is not transferable to another person or another Rand McNally product. 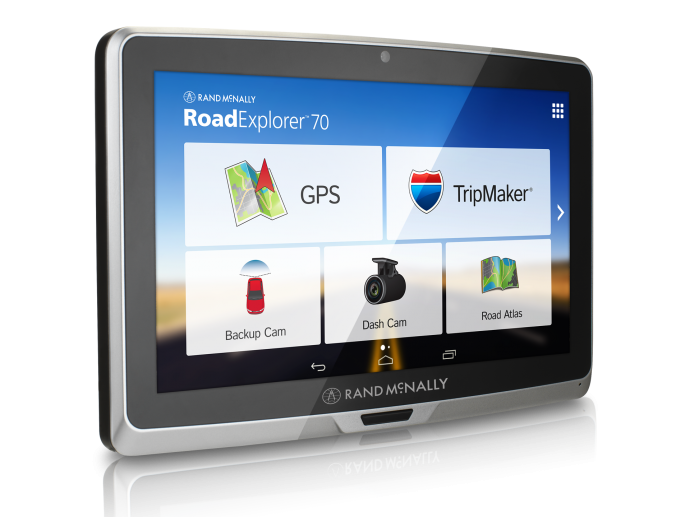 Map updates provided by the Lifetime Maps feature apply only to the same geographic map data originally included on the specific Rand McNally device at time of original purchase. High-speed Internet connection and Rand McNally Dock software are required.